Caktus, which traveled to the TechLaunch (Clifton) accelerator from Finland, has landed $200,000 in seed funding in a round led by Kima Ventures. Kima is a European venture capital company that invests in more than 100 hopeful startups per year. Caktus’s hardware/software hybrid product is designed for consumers who want to be coached in staying properly hydrated. A flexible sensor (called The Hug) that fits around any water bottle is coupled with an app that can track drinking frequency and then push notifications about adequate water intake to users. Since TechLaunch, Caktus has returned to Finland, but “we are still officially headquartered in Clifton,” CEO and cofounder Panu Keski-Pukkila told NJTechWeekly.com. The team is now running the business from Finland. Said Keski-Pukkila, “It has been impossible [for us] to reside in the U.S. due to visa issues.” It is hard to get working visas for a young company without funding, he stated. “Now I am doing the work to change that and looking into options of getting visas. So I am hoping that part of the team would be able to come to the U.S. this summer,” he added. 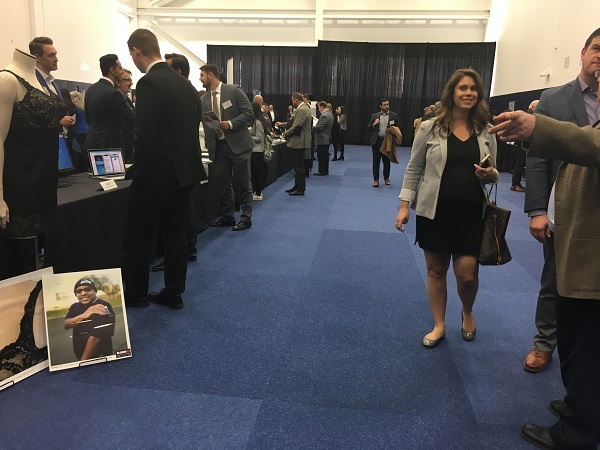 An investor-led technology accelerator, TechLaunch was created in 2012 as collaboration between founder Mario Casabona and the New Jersey Economic Development Authority (EDA) to drive the commercialization of emerging technology created by aspiring entrepreneurs. Since then it has launched 19 technology-focused companies, several of which have received follow-on funding. TechLaunch investors, including the EDA, continue to be shareholders in each funded company, Casabona told NJTechWeekly.com. The actual quantity of shares (equity) before and after the follow-on funding may change, he noted. “We are in it for the long haul, and we exit alongside the founders. We make our ROI [return on investment] when our founders … do,” he said. Caktus recently tested its new prototype iteration, which it will present at the Mobile World Congress in Barcelona at the end of February 2014, the company said in a release. The new seed funding will help Caktus tweak its product for manufacturing and launch a crowdfunding campaign so customers can preorder The Hug.